Roy Jones was pleasantly surprised to see young boxers from United States to wish him GOOD LUCK before his upcoming fight on next Saturday, May 21st. 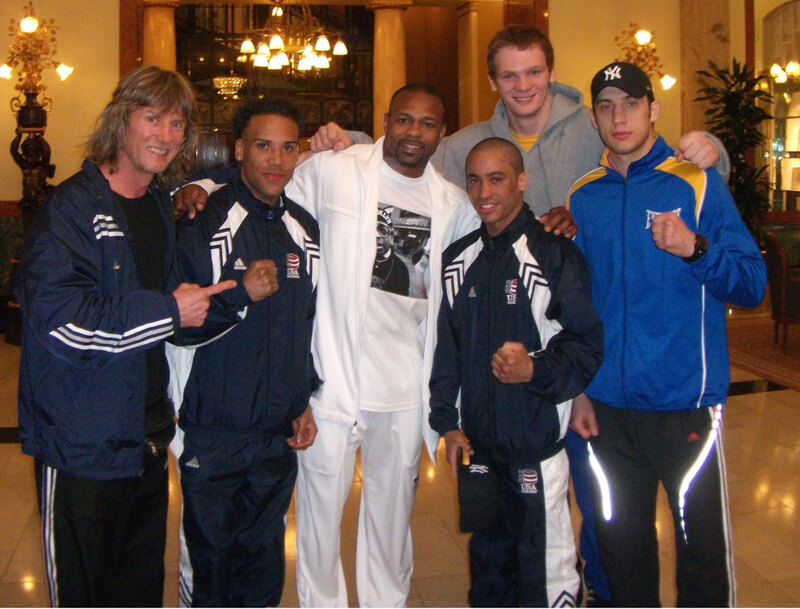 In return Roy Jones wished to WIN or DIE boxing team good luck in competition in Kazakhstan! and specially, to Juan Roman and Jeremy Fiorentino, his best of wishes in 2011 Olympic USA Nationals at Colorado Springs in June ! 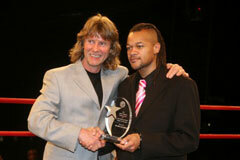 Boxing trainer Michael "Coach Mike" Kozlowski 2011 Golden Gloves GOLDEN TEAM wishing GOOD LUCK to Roy Jones in Moscow !